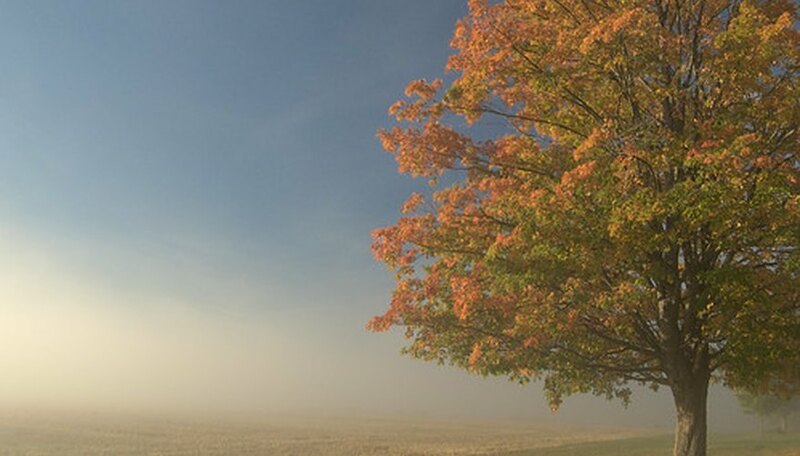 The sugar maple tree is responsible for that delicious syrup you pour over your pancakes and waffles--along with a lot of work to get it from the tree to your table, which might also be made of maple. Sugar maple trees are abundant from Nova Scotia to southeast Manitoba down to southern Missouri, eastern Tennessee and northern Georgia--basically all of New England, the mid-Atlantic states and the states surrounding the Great Lakes. Sugar maple trees, given ideal growing conditions, can grow in excess of 100 feet in height, with a diameter of up to 5 feet. The largest sugar maple tree is in Bethany, West Virginia, at a height of 110 feet and a diameter of 5.6 feet. The sugar maple tree is an important to the economy for two reasons: the rock-hard lumber that it produces and for delicious maple syrup. The sugar maple is the most abundant of the maple trees throughout the Eastern states and is also referred to as rock maple and hard maple. The economic value of the sugar maple tree's major uses has been historically profitable. 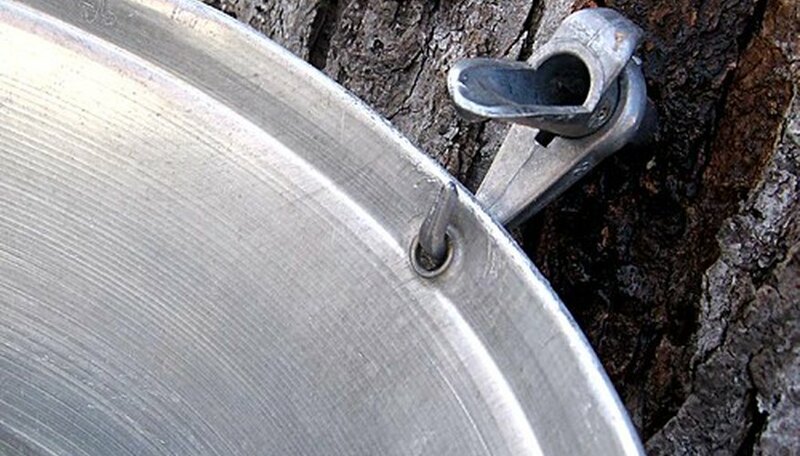 Although no one knows when or who discovered that the sap could be boiled down for syrup, it was an important product for trade among the Indians living along the St. Lawrence River and the Great Lakes. In 2009, Vermont and Maine both had record-breaking years for maple syrup production, which brings needed revenue. Nationally, production was up 22 percent--the best year since 1944. Maple trees that grow tall and straight generally don't give as much sap in the spring as trees with a wider canopy, and are thus better for lumber. The hard wood is widely used as flooring as it can produce varied wood grains and colors. Since the sugar maple is so abundant and has a high heat BTU, it also is widely used for firewood to heat homes. The trees of wider berth produce better yields of sap for the production of maple syrup. It takes 10 gallons of raw sap to make 1 quart of maple syrup. The sap, collected from the trees in April and May, is boiled down for hours until it is approximately 67 percent sugar and can be considered syrup. The sugar maple "flowers" in the summer, although you wouldn't recognize the flowers. Bees pollinate the flowers, and by September, the tree, which has both male and female parts (monoecious), sends double samara fruits to float to the ground. Usually only one of the fruits is viable, but they germinate easily in the spring. Although the seeds are plentiful, squirrels and other seed eaters avoid them. 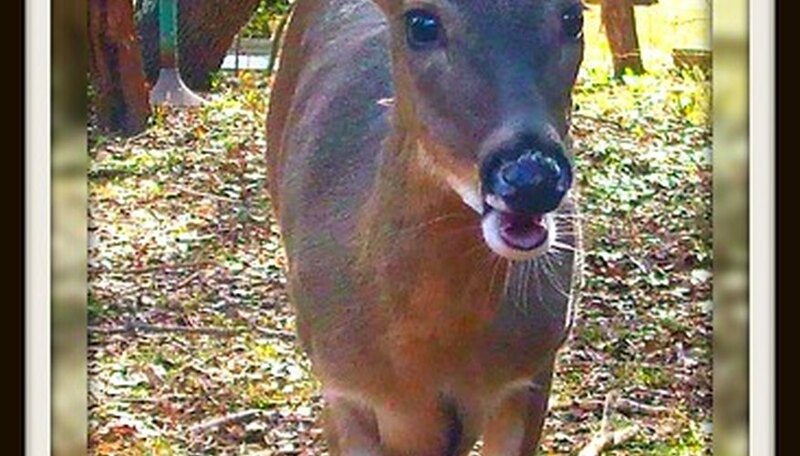 Once the seeds germinate, they quickly grow into saplings, which the whitetail deer find irresistible. Are Cottonwood Trees Very Good for Fire Wood?